India’s heaviest and most-advanced high throughput communication satellite GSAT-11 was successfully launched from the Spaceport in French Guiana and will help in providing broadband connectivity to remote villages. The launch vehicle Ariane 5 VA-246 lifted off from Kourou Launch Base, French Guiana at 02:07 AM (IST) carrying India’s GSAT-11 and South Korea’s GEO-KOMPSAT-2A satellites, as scheduled. The 5,854 kg GSAT-11 will provide high data rate connectivity to users of Indian mainland and islands through 32 user beams in Ku-band and 8 hub beams in Ka-band. 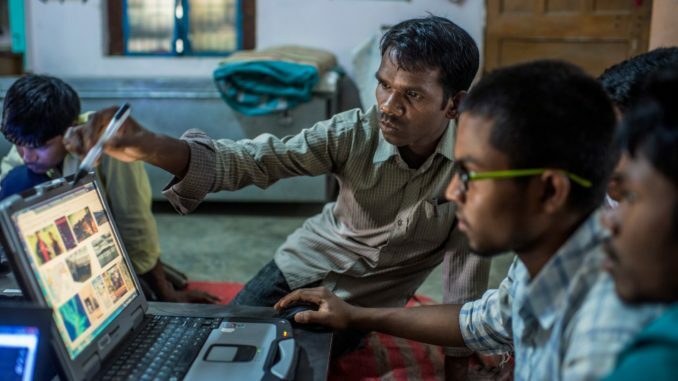 “GSAT-11 will boost the broadband connectivity to rural and inaccessible gram panchayats in the country coming under the BharatNet Project, which is part of Digital India Programme,” said ISRO Chairman Dr K Sivan. The BharatNet Project aims to enhance the public welfare schemes like e-banking, e-health, e-governance and others. “GSAT-11 will act as a forerunner to all future high throughput communication satellites and today’s successful mission has boosted the confidence of the entire team,” added Dr Sivan.